• At 8:30 AM, Trade Balance report for August from the Census Bureau. The consensus is for a deficit of .7 billion, from .1 billion deficit in July. • At 3:00 PM, Consumer Credit from the Federal Reserve. The consensus is for consumer credit to increase .0 billion in August. 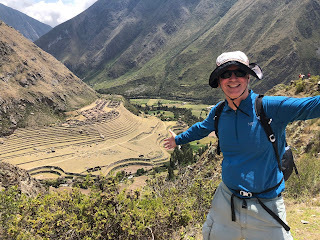 I’ve returned from my hiking trip in Peru. 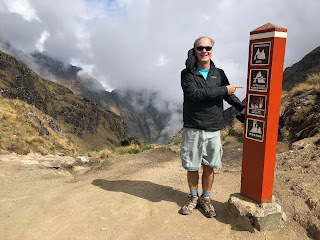 As part of the trip, my friends and I hiked the Old Inka Trail to Machu Picchu (with an amazing group of people from around the world). The second photo is at the top of Dead Woman’s Pass. This is the high point of the trail at 4,215 meters above sea level (about 13,800′). There are two high passes on the trail (both on Day 2), and on night 2 we slept at close to 13,000′. 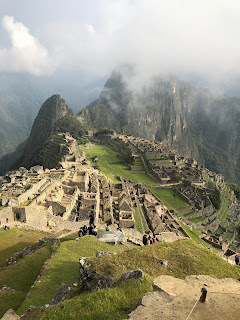 We had a great trip, and I’m looking forward to returning to Peru and South America.